This post has nothing specifically to do with policy, except that it gives me an excuse to point out the critical role that public libraries play in promoting and supporting adult literacy across the country, often in relatively informal and under-appreciated ways. 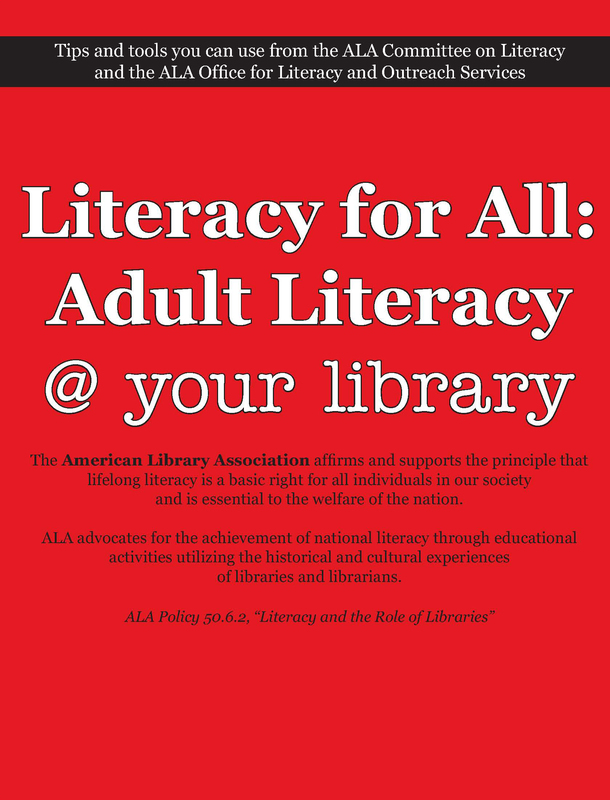 This new publication, Literacy for All: Adult Literacy @ your library, available for free from the American Library Association, looks like a useful tool for those communities trying to assess/expand/enhance their library system’s role in supporting adult literacy. The toolkit is available as an eight-page print edition, a Web edition or as a downloadable PDF file. ← How Would Adult Education Funding Fare under H.R. 4297?